In addition to our “Traditional Range” we have our “Modern Lowline Range”……. In a break with tradition these units sit closer to the ground for an elegant appearance from the exterior, and with less steps to climb making access easier. This Modern Lowline Range and our Traditional Range are finished in stunning eye catching silver, both feature a luxury design built with corporate,weddings and prestigious events in mind. 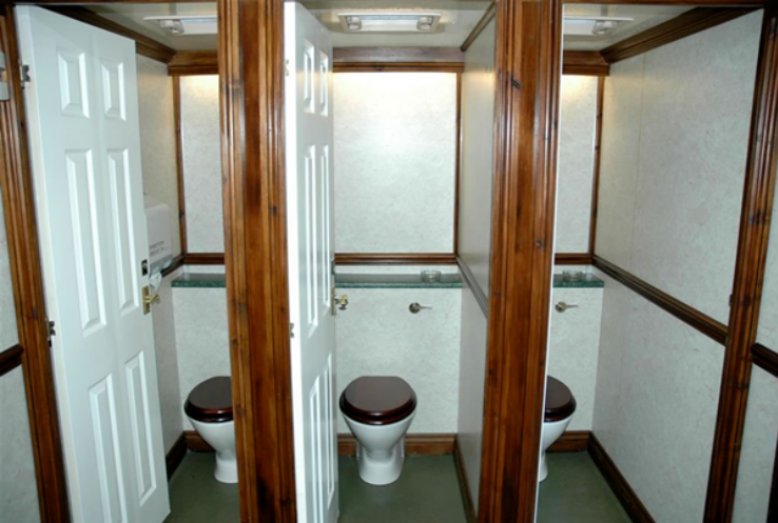 The Exmoor toilet hire units comprise of 3 ladies loos, one gents loo, and 2 urinals. 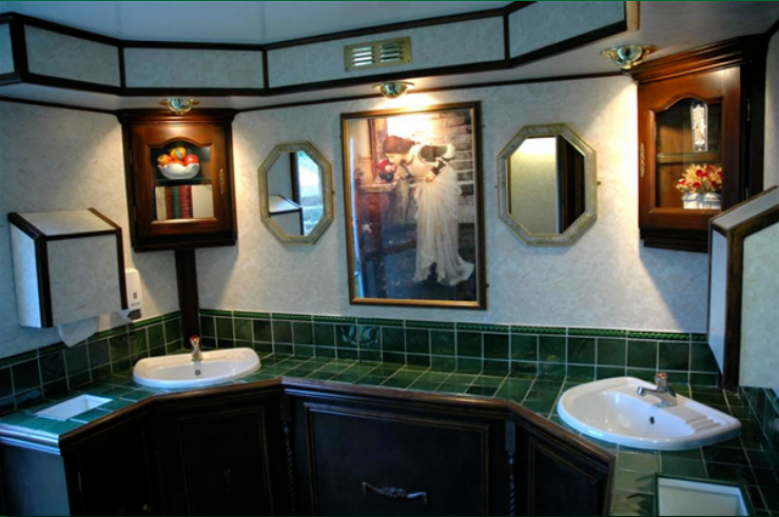 There are two wash hand basins in each side with porcelain sanitary ware, running water, drying facilities and elegant lighting throughout. 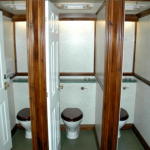 Polished wood and sumptuous carpets are a feature of the Low Line toilet hire Range. The choice is yours! 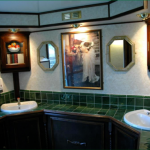 All Exmoor toilet hire units come fully equipped with a CD player and high quality digital sound system.We offer a choice of background music, or you can provide your own! Each toilet hire unit is totally self contained and only requires a standard 3 pin 240v supply. (generators are available upon request.) A level site is required. These units are suitable for approximately 250 people.